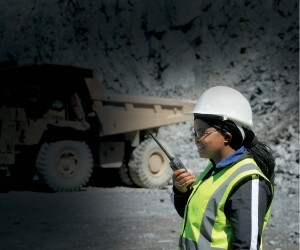 In 1996, the first woman in South Africa was permitted underground and after only 22 years in the industry, it was ranked number one worldwide for female representation at board level and in senior leadership- revealed by PwC’s ‘Mining for Talent’ report on a survey conducted in 2015 in the UK in conjunction with sponsors Anglo American, Rio Tinto and BHP Billiton. The report also revealed the strong connection between the number of female employees in senior positions and business success, “Research shows that there is a strong correlation between having more women in management positions and on the board, with improved company performance across a number of metrics, including governance, financial, social and environment,” added Seegers. 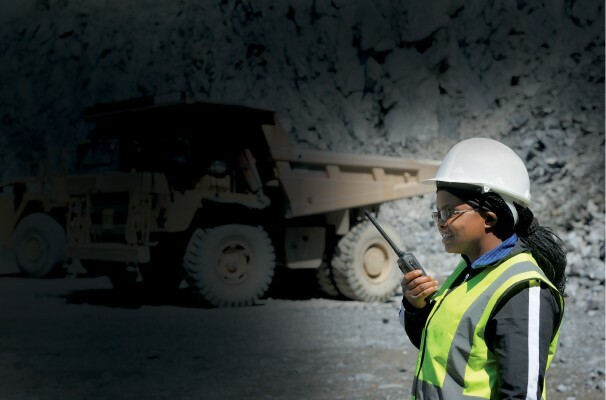 Currently, there are 23,8% and 21,4% of South African Women on the boards of the Top 100 and Top 500 listed mining companies respectively and while the outlook certainly seems brimming with opportunity, the retention of women as they move up in the ranks in the industry is an area that must constantly be addressed. According to the ‘2016 Gender Diversity Progress Report’, published by the Australian Institute of Company Directors,companies need to foster a work environment that encourages and supports women in even the smallest roles in mining. This begins with the leadership within an organisation who have a responsibility to drive gender diversity and make all women in their company feel motivated, recognised and empowered. This will not only ensure the retention of women and gender transformation in the industry, but will also improve the overall company performance which is a win for everyone. The recipe for cultivating a workplace environment that truly encourages the growth of women in mining can be emulated in even the smallest of businesses. Thabelo Makherana, SHE (Safety, Health and Environmental) manager for Ncamiso Mining, is an example of a determined woman aspiring to move up the ranks. We asked her a few questions about her role in the mining industry and the challenges she faces. What is your background and what roles have you filled in the mining industry? What challenges do you face in your role or particularly as a woman? Makherana also noted the importance of women ‘sticking together’, commenting that her role would not be possible without the other female staff at Ncamiso who are integral to the daily function of the business. “As the general manager of the whole company I feel fully trusted by our founder to run all aspects of the office management, accounts, labour issues etc. and I don’t feel the authorisation powers are limited to my gender, ‘ commented Zintle Mashinini, General Manager at Ncamiso Mining. Having worked in the business for 3 years Mashinini notes that she has been challenged to grow and learn more as her role and responsibilities have evolved and having key-performance-indicators affords her a great sense of job satisfaction. Matshidiso Makoropo, Administrator at Ncamiso Mining added that “although my role might seem small in that I am behind the scenes doing all the admin work, I am constantly thanked and praised for the work I do because I keep everything organised and I make everyone else’s job easier. I feel we have seen the way men value and address us really change.” The key to retaining women in the mining industry and empowering them to grow is to encourage, educate and nurture them. “It’s vital to foster an environment where anything is possible for a women no matter how small her role might start out to be. With the right attitude and management even an administrative assistant can become a board member. Champion and celebrate the women in your business and they will be driven to reach their full potential and you will drastically improve your business” closes Mashinini.